Motorola Notifications is here to improve your experience with your Motorola smartphone. 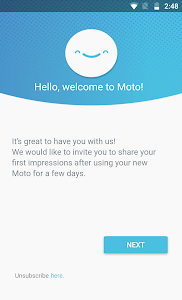 If you opt-in, it sends periodic product-related information, including notifications on software updates, tips & tricks and information about new Motorola products and services. You will also receive invitations to participate in surveys about your experience with Motorola. 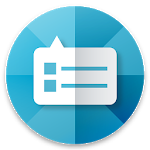 The Motorola Notifications app is available as an update on most Motorola devices. However, the notification service itself will be activated only for specific products and countries. If/when this rollout happens in your country, a new app will appear in your app tray named "Motorola Notifications”. To begin receiving notifications, you’ll need to opt in via device setup, via this Motorola Notifications app, or via an invitation sent through a notification. You may opt out of receiving notifications at any time by clicking on the unsubscribe button in this app or using the unsubscribe option that is presented when you click on the notifications you receive. Note: This app has been used in the past on older Motorola devices to send critical product related information to users. 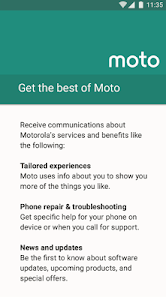 With this Google Play update, the app will now enable Motorola to send additional product-related information, as described above. Users who do not want this update should disable Auto-update for this app on Google Play Store. You can also uninstall any updates you may have received, by clicking on "uninstall updates" in Settings->Apps->Motorola Notifications.